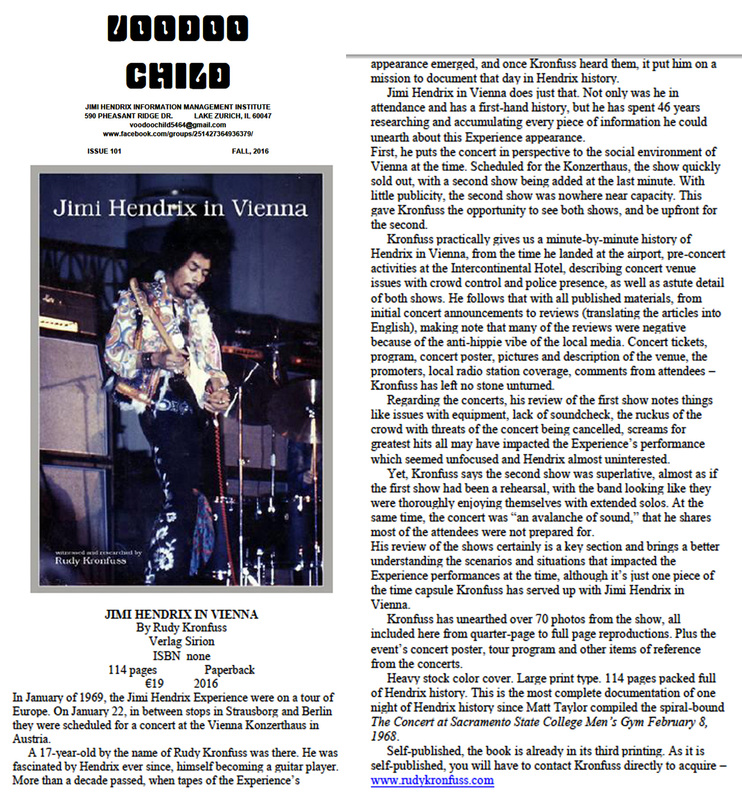 This is a book about Jimi's visit to Vienna 22 january 1969 and is the result of 46 years of research. 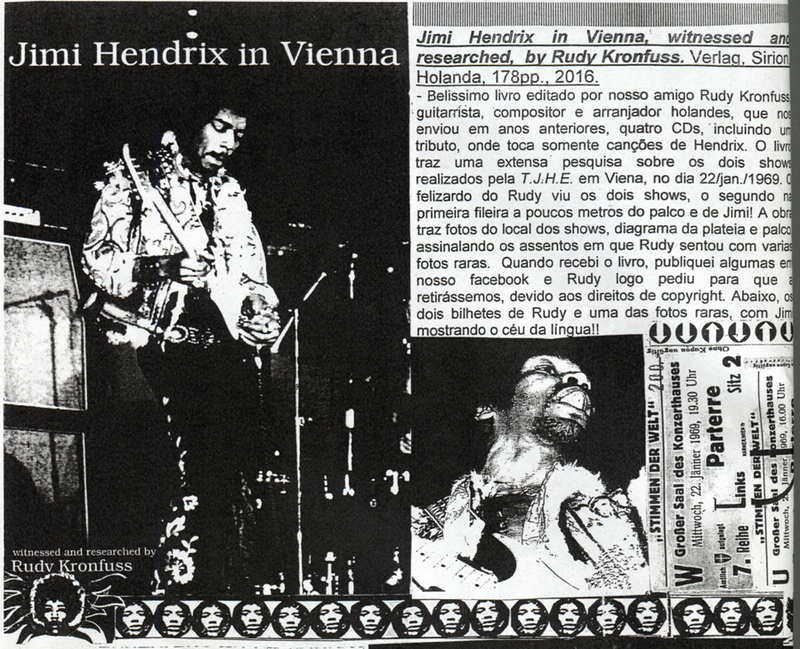 I have seen both concerts at the Konzerthaus and have spoken to many witnesses from that time. 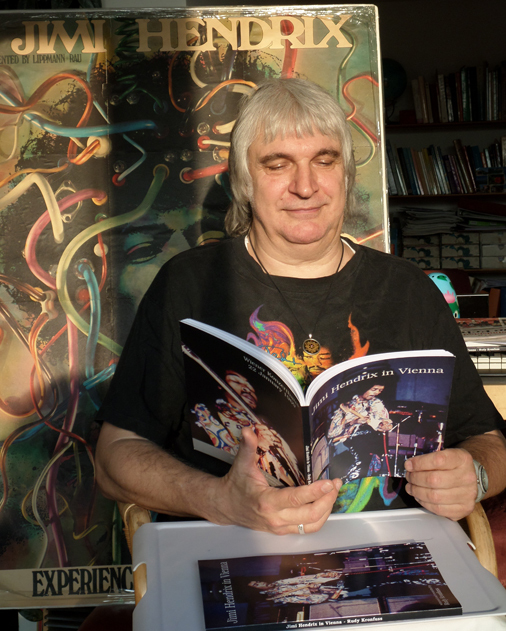 If you want a copy, please contact me here. Price is 25.00 euros, plus shipping costs - I prefer using Paypal, but a direct money transfer to my bank is possible. 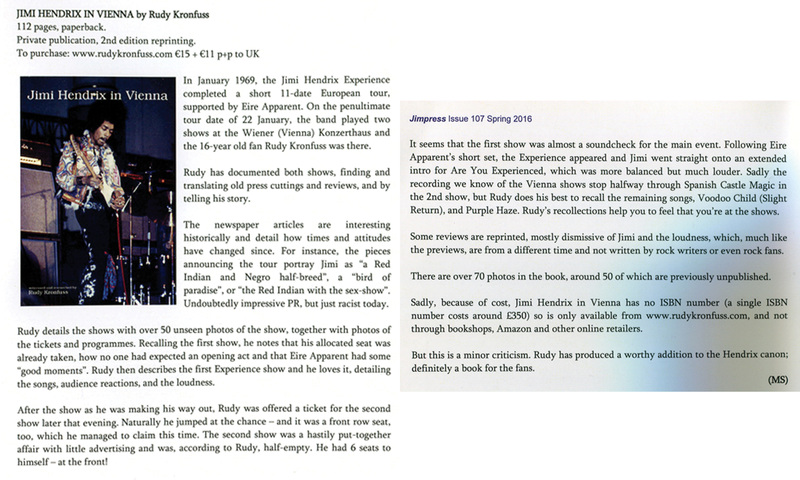 The book is written in English (with original copies of Austrian press reviews which are in German, but each has been translated). 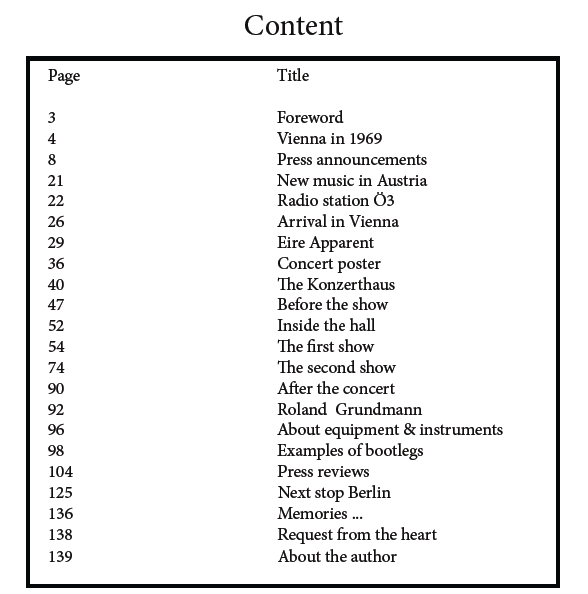 It is A4 and has 140 pages (26 more than the previous edition!) 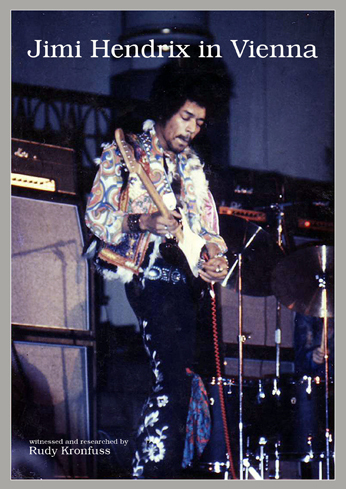 containing almost 100 photos from the show - about 70 never seen/published before and an unknown interview with Jimi as well ! Since the first book has been published more information has been found and a few more witnesses have surfaced - unbelievable after such a long time. 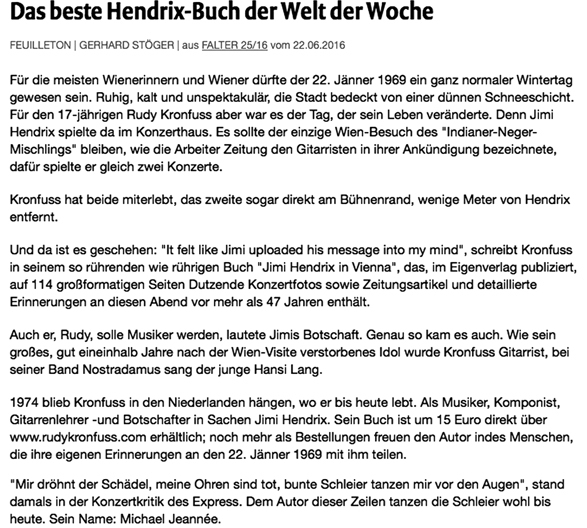 read German Artikel/Review im "FALTER"